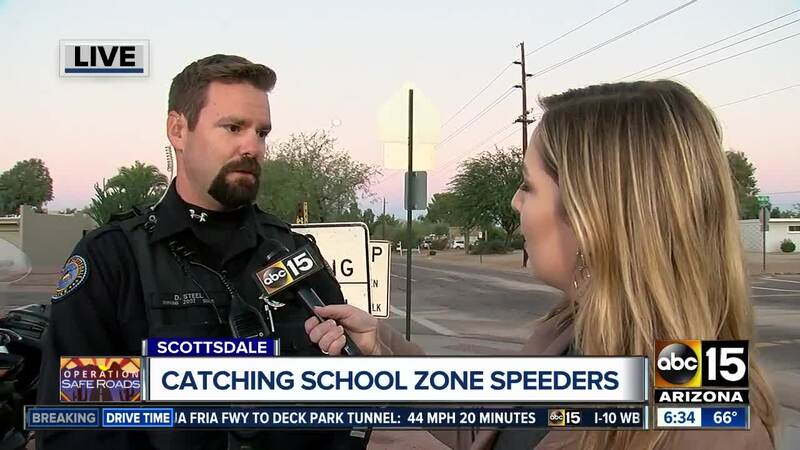 Members of the Scottsdale Police Department talk about speeding in school zones, and what drivers must pay attention to when the speed limit drops. Arizona classrooms are full again after Fall Break and that, of course, means drivers should be hitting the brakes in those school zones. 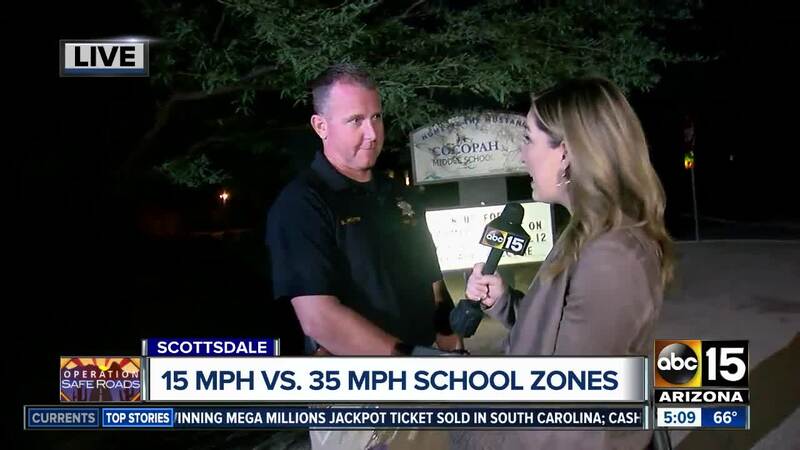 The Scottsdale Police Department has cited thousands of drivers this school year, not just for speed, but for excessive speed. They posted a video to their Facebook page to remind people to slow down because it is Valley children who could be caught in the crosswalk. The video shows a compilation of their radar cameras with people going well over 45 miles per hour in the 15 mile-per-hour zone. In statistics sent to ABC15 from the department, there were 9,218 violations in school zones in the city in 2017. Just between January 2018 and this month, there were 7,948 violations.